And...it's done! 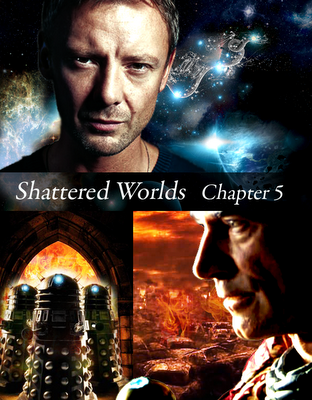 The final chapter of "Shattered Worlds" is posted on fanfictionnet and another story in the A Timelord and his Madman series is once again completed. Go HERE to read the final chapter. I'm currently writing chapter 2 of the next instalment, entitled "Before Harry met Lucy" in which the Master and the Doctor travel back in time to investigate the Infinity Corporation that was responsible for kidnapping Rachel. By coincidence (or not), our duo end up in London 2004. So far, the story has Shakespeare, Christmas, alien cabbie drivers, an eccentric lord, 18th century works of art and mr. Bones in it, together with one certain Timelord's exwife. 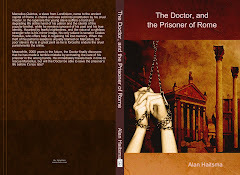 I'm having great fun writing this one, and hope that it would turn out to be an enjoyable read as well. I'm not sure when the first chapter will be up, but it's planned for December. It all depends on how fast I can write, but I'll keep you guys informed.